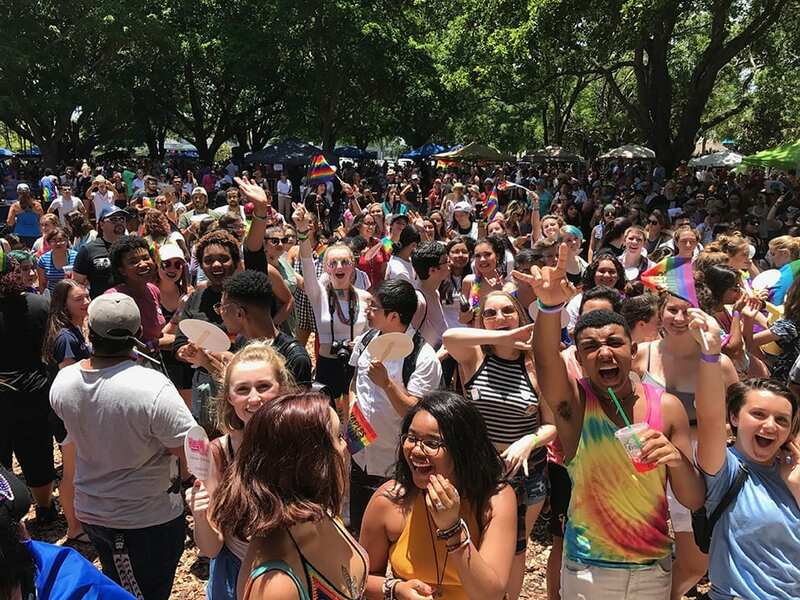 About 5,000 people attended the First Naples Pride on June 17 at Cambier Park in Downtown Naples. The theme for the first year, We Are ONE, encourages the entire Southwest Florida community to unite as one and recognize the importance of equal rights for every individual no matter their gender identity, sexual preference, race, ethnicity or religion. Naples Mayor Bill Barnett kicked-off the event, followed by performances by the Gay & Lesbian Chorus, SWFL Burlesque Alliance, Folk Singer Haris Blackwood, True Blue Motown Band and other entertainers. The DJ was DJ Kooshie, Patrick Sweeney, and the MC was MC Liquid, Ricky Herrera. The event included several guest speakers, including Abby Wambach and Glennon Doyle Melton. Wambach is a two-time Olympic gold medalist in soccer, FIFA Women’s World Cup champion and six-time winner of the U.S. Soccer Athlete of the Year award. Her wife, Doyle Melton is a NY Times best-selling author and Oprah Winfrey Book Club pick as well as a sought after public speaker and philanthropist. The event included more than 50 vendors offering food, beer and merchandise. Nonprofit organizations serving the LGBTQ community provided information and education about their community services. Main sponsors include Collier Freedom; the Rainbow Pages (rainbowpagesswfl.com); Dr. Clint Potter of AIM Advanced Individualized Medicine; and John R. Wood Properties. 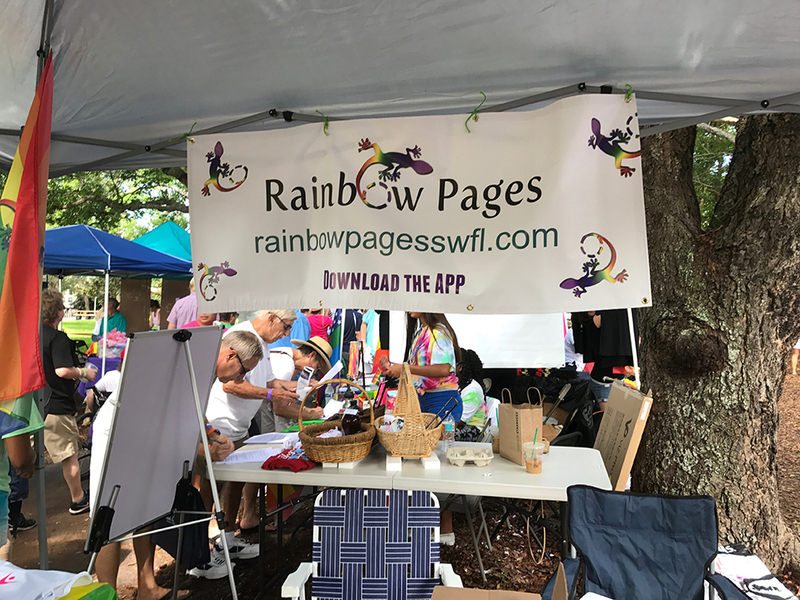 The first Naples Pride used the Rainbow Pages SWFL app as a way to connect with those attending and promoted special events throughout Pride. It also serves as a way for Naples Pride and the community to stay connected to LGBTQ issues throughout the year.